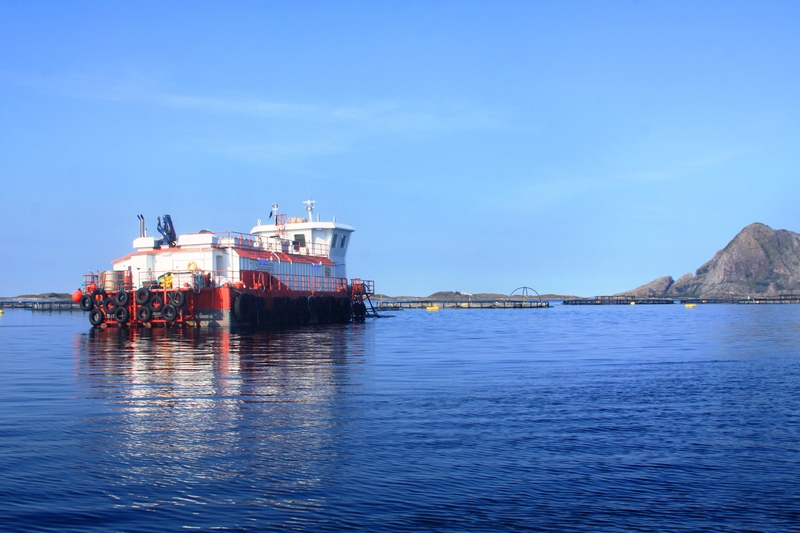 In October 2015, Nord Senja Laks; Norway (Norway Royal Salmon ASA owns 2/3 of the shares) was sentenced to pay a fine of 570 000 USD and the CEO to imprisonment for having incorrectly reported the sealice situation in the fish farm during 2012 and for having exceeded the maximum permitted levels of 0.5 mature female sea lice per fish with a factor of 15. However, Nord Senja Laks has already received “plaster on the wound”! They got in 2015 awarded two green licenses – licenses where there are particularly stringent requirements for having sea lice under control. Yes, Norway Royal Salmon has actually spoken, gotten 1/3 of all assigned green licenses during the last licensing round in 2015! It is therefore opportune to ask questions about the criteria for awarding licenses for fish farming. Should it be a trusted fiduciary with responsibility to operate with acceptable environmental consequences or an acquired rights entitling to produce whatever environmental consequences. Licensing arrangements, in general, tends to act preservative. Assigning “exclusive” rights restricts competition and makes the requirements for renewal and efficiency less intrusive. Some farming companies have been willing to pay 7.6 million USD to get one such “exclusive” right. It is therefore, undoubtedly, huge economic benefits in the privilege of a salmon farming license. An interesting question is whether this is well spent resources in a societal perspective? The Norwegian press has during recent years been reported numerous large salmon escape cases and facilities that repeatedly have more sea lice than the permitted maximum level. NRK (Norwegian Broadcasting Corporation) reported on November 6. this year that farmers on Nord-Møre region were struggling badly with sea lice, and that some facilities have had over 20 times the permitted level –or about 10 female sea lice per fish. Some of the companies who have been awarded the “green” salmon farming licenses have in this respect been frequent visitors in the news. I have not seen one single case where offences of the sealice regulation has resulted in loss of the license or given limitations in the rights to farm salmon. In fact it had no consequences for individual farmers to exceed the boundaries until last year, when FSA (Mattilsynet) finally took the opportunity to limit the stocking of new fish (smolt) for some of the worst offenders. The licensing system has historically had different justifications. It was originally established with the fish farmers support to prevent excessive establishment of new farms with a potential overproduction as a consequence. 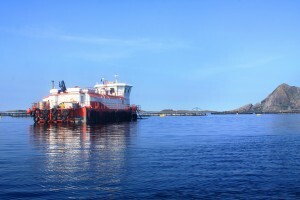 Since then it has been actively used for locating salmon production along the whole Norwegian coastline and to restrict production increases in connection with the antidumping conflict with EU. After the anti dumping duty on Norwegian salmon in the United States was phased out in 2012, the licensing scheme been based on environmental concerns. Escaped salmon and sea lice have been the main management criteria. Undoubtedly, very large resources are used on sea lice control and treatment. The Norwegian government finances extensive and costly monitoring programs to measure and forecast the effects of sea lice on sea trout and wild salmon. Producers have substantial costs on the many repeatedly sea lice treatments. Unfortunately, only crumbs are left to develop new strategies for combating sea lice and in develop lasting solutions to the louse problem. The farming industry sees only expenses and not personal gain by developing new efficient treatments. The safest seems to be “to sit still in the boat”! As long as everyone has the same problem, the cost of handling the sea lice infestations can easily be charged to the customer. Taking the economic risk by spending millions on development does not seem particularly attractive, especially when the individual farming company doesn’t get any direct benefits. Many of us also hold an “entrusted” license – our driver’s license. Consistent and severe penalties for violations of the traffic rules in Norway have a strong disciplining effect. The danger of loss of license strikes hard and equally for poor as for rich. The tolerance level is very low – 30% above the permitted speed limit and the taxi driver must take taxis himself. CEO Charles Høstlund in Norway Royal Salmon can still retain his fish farming licenses despite a sea lice level 1500% above the permitted number of sea lice on some of their locations! In the current aquaculture management system, there are no advantages to operate with low environmental impact and no reward to be better than the minimum standard. We therefore believe that the Norwegian licensing scheme for farmed salmon should be revised. It should not be an acquired and perpetual privilege, but a trusted permission to use our shared commons in a responsible way. Admission should open for anyone who can substantiate a production with low environmental footprint, and the companies that operate with the lowest footprints should get permissions for increased production. Similarly, the worst offenders should get reduced production allowances and finally lose their right to produce salmon. This will provide powerful incentives to find solutions to the aquaculture industry’s environmental challenges. Probably it will also provide long-term value far greater than the few millions the government collects through the sale of salmon licenses. Translated from a chronicle in Fiskeriblandet Fiskaren 24. Nov. 2015. Previous Post:U.S. Food and Drug Administration approve genetically modified salmon for sale. Next Post:“Is there any hope for Chile in the next two years”?